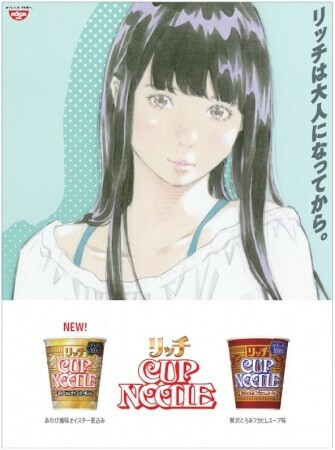 Illustrations used in the Nisshin Shokuhin Cup Noodle TV commercial illustrated by the illustrator, Eisaku Kubonouchi will be exhibited in Tokyo, Fukuoka and Taiwan. At the exhibition venue in Japan, related illustrations and panels which show the “making” process based on the original illustrations will be exhibited. The exhibition will consist of two periods, the first period and second period. The content of the exhibitions will be changed. They will sell goods using the motifs of Eisaku Kubonouchi’s illustrations. Plus, they will hand out an illustrated poster or clear file (both items are not for sale) to visitors who spend more than 3,000 yen. Don’t miss this chance to see these original illustrations. ※The exhibition will commence as soon as the store opens. 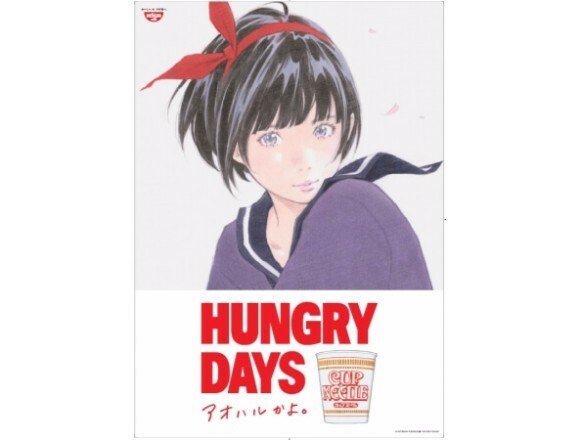 Works that will be exhibited: “HUNGRY DAYS Majo no Takkyu Bin version” related illustrations (including the illustrations that were not used) and other old works. 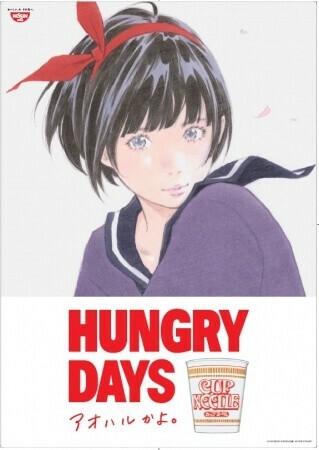 ※The exhibition of “HUNGRY DAYS Alps no Shojo Heidi version” will not be held.